[INFOGRAPHIC] How many prospects do I need to meet my sales goal? 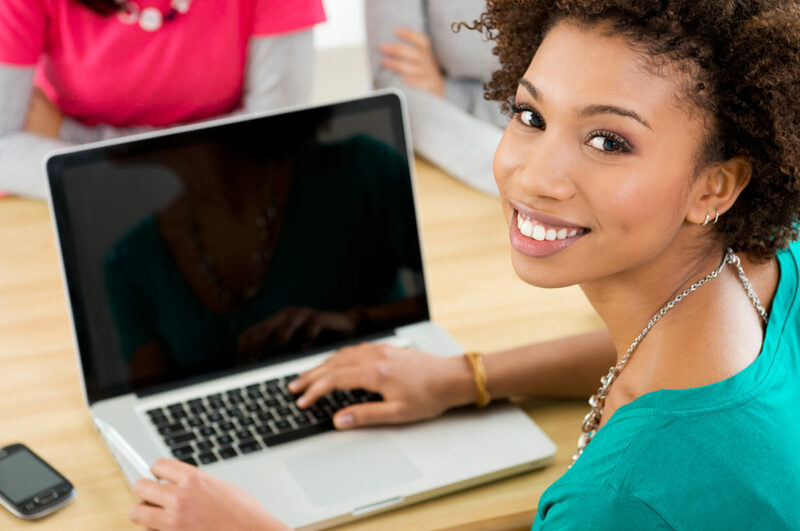 Step 1: Determine your sales/enrollment goal. Step 2: Estimate what percentage of the people exposed to your offer will take action and buy. 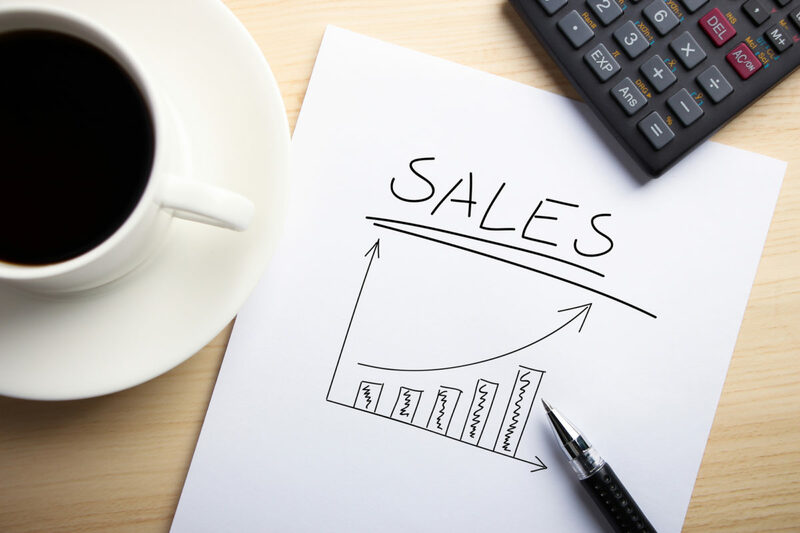 Step 3: Divide your sales/enrollment goal by the percentage you came up with in step 2. Example: Lisa wants to enroll 15 people into her mastermind. 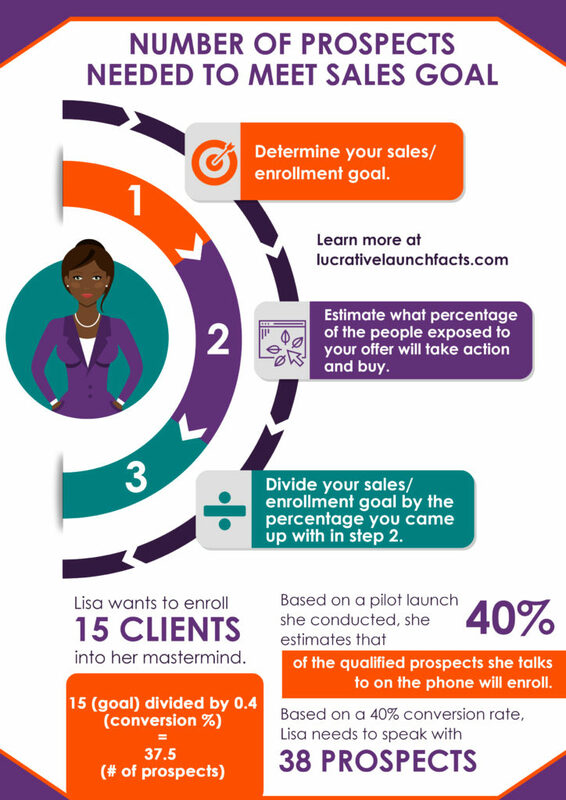 Based on a pilot launch she conducted, she estimates that 40% of the qualified prospects she talks to on the phone will enroll. Based on a 40% conversion rate, Lisa needs to speak with 38 people. 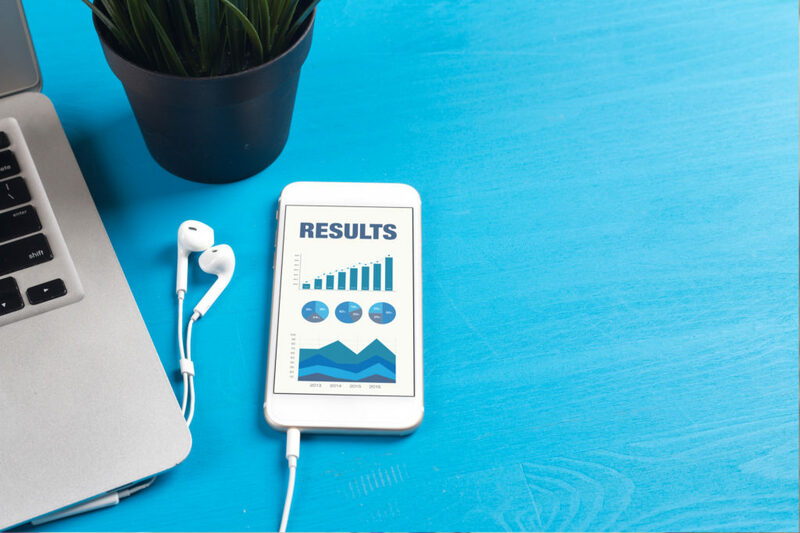 The only way to determine what works and what doesn’t so you know exactly where to invest your marketing time and dollars going forward is to measure your marketing. For example, say I’m going to invest X amount of time and X amount of money to generate X number of leads via X lead source. I expect X number to accept my offer, generating X amount of sales. Once you know how much time, money and resources it’s going to take to achieve a specific sales result, you can determine how profitable of an endeavor or undertaking it is. Thinking of our marketing in terms of sequences helps us to more easily quantify and measure our marketing. marketing sequence: a series of steps or actions to take a lead from being a prospect to a paying customer.